Attached please find a review of a book on the achievements of Khan (1162- 1227). Despite his image, this visionary leader adopted some very ‘modern’ values (meritocracy, freedom of religion, universal laws (shepherds = princes), emancipation of women, taxation, free trade, etc.). This extra-ordinary man created an empire larger than the Roman one. To my knowledge, this world empire does not really feature in your writings on economic history of the world. I am curious about your views on this era (and what we can learn from it), which eventually forced the Chinese to build their wall. I am a great fan of you and your mission and have followed your writings going back to Princeton Economics. 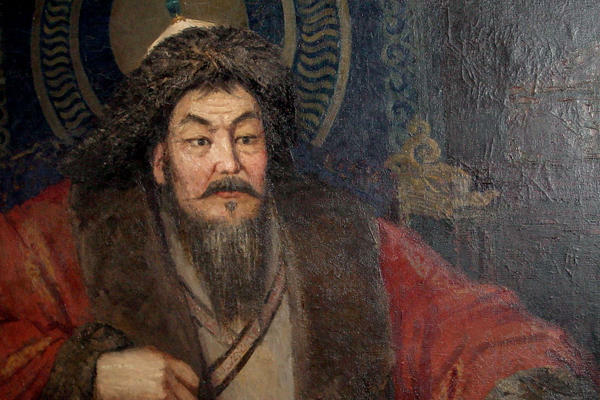 ANSWER: The reason Genghis Khan is rarely featured in our work of monetary systems is largely due to the fact that the Mongols really did not issue coins of their own. Here is a coin of Genghis Khan, which is an Islamic imitation. This coin is inscribed: Great Khans. temp. Chingiz (Genghis) to Möngke. AH 602-624 / AD 1226-1227. It is an Islamic Gold (AV) Dinar (34mm, 4.63 g, 9h) of an uncertain (possibly Dihistan) mint. This demonstrates that his issue of coinage was not for domestic use but for trade. Silk was money, hence the Silk Road, and was often used in trade. The Mongols conquered China and maintained their monetary system. They honored the paper money in circulation and used that as the monetary base rather than coins. They also destroyed the Rus (Russians) in Kiev, Ukraine, and when they rose again it was from Moscow. They attempted to invade Japan twice but their fleet was destroyed in storms and that became known as the Divine Wind that protected Japan – hence the Kamikaze (神風) pilots (Divine Wind) of World War II. The Mongols lacked their own monetary system, which is why they are not featured in our monetary history. It was largely barter and after the conquest of China, it simply merges with that of China. I do deal extensively with this subject in a forthcoming monetary history of the world publication that I am trying to finish.